Home » INDIKATOR » STRATEGY TRADING » TRADING BINARY » Beginner Traders Must Understand Basic Terms in the Forex Market, Anything Yes? basic forex terms that beginners must know to be calm when trading forex. A trader at the forex market should continue to learn and know the various developments in the market in order to analyze the market properly. Beginner traders who have just entered the market are also required to know the various terms in forex before they start trading activities. here is an explanation for all of you. Spread is a term that refers to the difference between the purchase price and the selling price and is expressed in the form of pips. 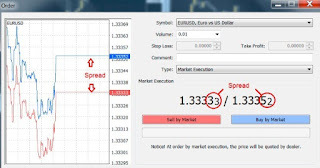 For brokers or forex brokers, spreads are income that they have the potential to get. Therefore, small spreads are more profitable for traders to break even. Pips (Percentage in Points) are 4 numbers that are behind a dot, for example 1.2345. While the pippette is 5 numbers behind the dot, like 1, 23879. When there is an increase in pips, that means the difference in pips at the time of opening the transaction is higher than when the transaction is closed. This makes you get profit from transactions carried out in the forex market. Furthermore, there are lots which are standard sizes per transaction. 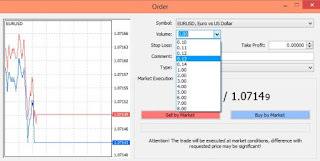 The size of the lot depends on the type of account you use to trade on the forex market. In general, standard accounts have a lot of 100,000 units, 10,000 units for mini accounts, and 1,000 units for micro accounts. The number of lots is a measure of transactions in forex, meaning that the greater the number of lots, the more capital you have to have. This of course will make the amount of profit and risk of loss getting bigger. As a trader, you can see the potential profits and losses of existing lot sizes. The next basic term of forex is Margin and leverage are aspects of forex that allow a trader to be able to transact in large quantities with minimal capital. This makes traders have the opportunity to get bigger profits, even though they only have low capital. If interpreted simply, leverage is a loan given by brokers to traders in the market. Leverage is written using comparison ratios like 1: 500, 1: 100, or others. That means, if you have a fund of USD 100 and use 1: 100 leverage, then your funds have 100-fold purchasing power, equivalent to USD 10,000. Next there is a margin which is a security deposit held by the broker as long as you make transactions on the forex market. The security deposit will be returned to the account, when you close the previously opened position. Then there is the ask price, which means the desired price and is the opposite term for bid price. This basic forex term refers to the conditions in which the forex market is experiencing the highest instability. This condition makes the currency move very fast and suddenly turn around. A forex broker is a company that acts as an intermediary between traders and the money market in the world. With a forex broker, traders can make buying and selling transactions online, instant, and simple. Through this broker, traders will open accounts, make deposits, make forex buying and selling transactions, and withdraw profits. 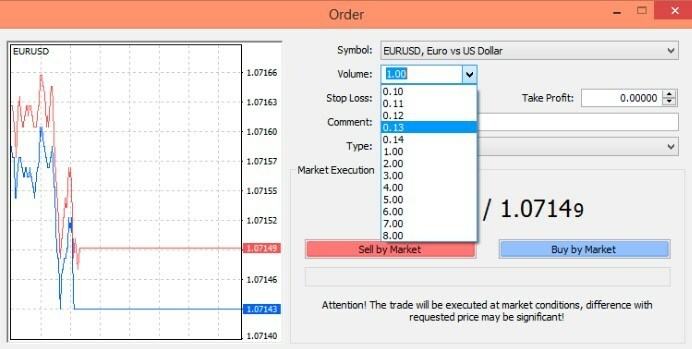 Before entering the actual transaction, forex traders need to test the trading platform of a broker and test trading skills on a demo account. Demo accounts will be available and can be used free of charge by traders. If you are ready to enter and make transactions in the forex market, then you can open an account or a real account. Don't forget to make a number of deposits that are required to be used in real-time trading transactions. When you get a profit, the funds can be withdrawn to the savings account that you have in the bank. Technical analysis is a way that you can use to determine the direction of market movements by paying attention to data in the past and using mathematical calculations. At present technical analysis is increasingly easy to do with the help of indicators available by Meta. The last basic forex term is fundamental analysis, which means a way of determining the direction of market movements by analyzing economic and political news in a country. The current economic, social and political conditions will affect the value movements of a currency. Such are the 11 terms in the forex market that need to be understood by beginners who make transactions on the market. We hope that the explanation above can give you many benefits and inspiration. 0 Response to "Beginner Traders Must Understand Basic Terms in the Forex Market, Anything Yes?"